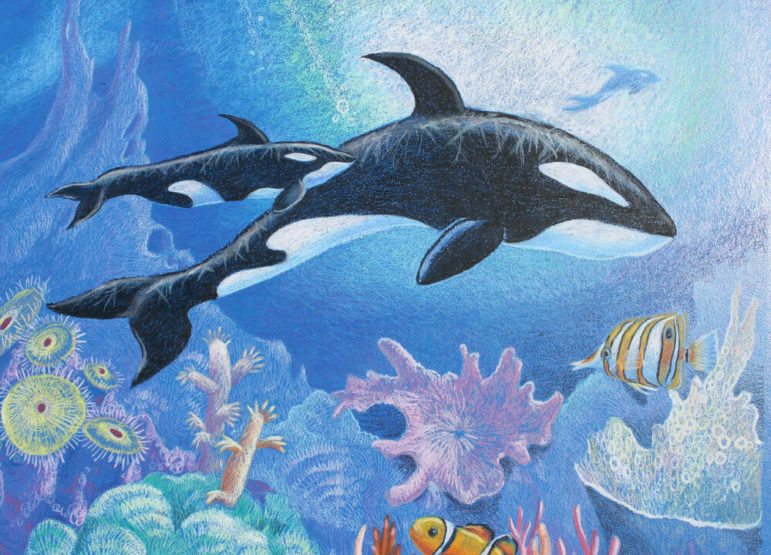 Watercolor painter Dawn Evans Scaltreto’s “Orca Odyssey” is an example of her work. She will be in the New England Watercolor Society’s Signature Members Show. 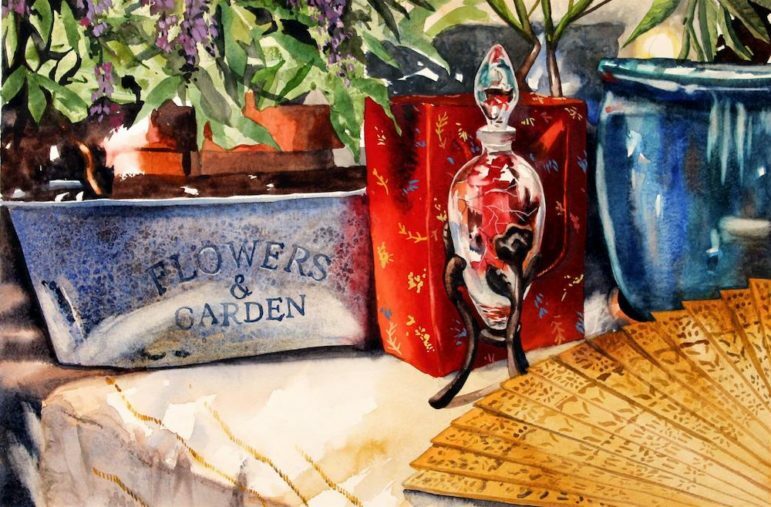 The New England Watercolor Society will host its annual Signature Members Show featuring, among others, Watertown artist Dawn Evans Scaltreto. Scaltreto is not only a Signature Member of the Watercolor Society, but is a, past president and current serves as the Society’s recording secretary and awards chair. 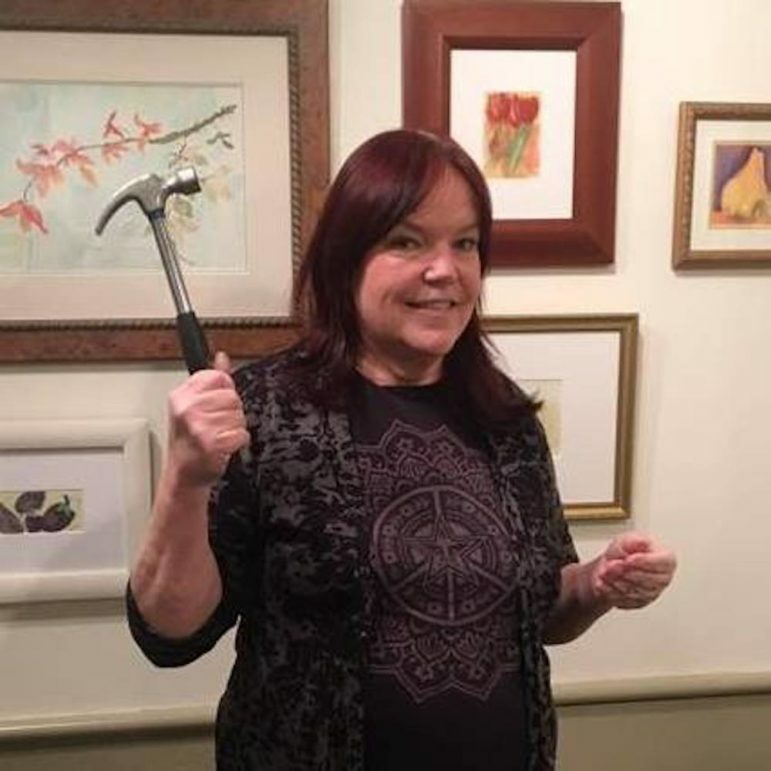 In addition, she currently serves as president of the Watertown Art Association, is a founding artist member of the of the Mosesian Center for the Arts (formerly the Arsenal Center for the Arts), and she is well known for teaching around Watertown and the area. Currently, Scaltreto is working on an art project, The Mystical Penguin Tarot, with support from a grant from the Watertown Cultural Council. Watertown artist Dawn Scaltreto teaches locally, is president of the Watertown Art Association and is a past president of the New England Watercolor Society. Visitors to the show at the Guild of Boston Artists gallery on Newbury Street, will certainly find expertly rendered traditional paintings of New England scenes that the word “watercolor” calls to mind, but they will also encounter striking abstract paintings, edgy compositions, and challenging experiments with color and light that expand the capacities of the genre and carry the viewer into new territory. The exhibit offers an exceptional opportunity to appreciate the high degree of artistry and technical mastery attainable in this challenging medium – pushed, in the words of critic B. Amore, to expressive and technical limits – and to acquire unique artworks by some of New England’s premier painters. This year’s exhibition judge, who chose the paintings for the Society’s prestigious awards, is Cindy Baron, AWS. The exhibit runs fromFebruary 6toMarch 3, with a reception and awards presentationFebruary 9. As part of the Society’s commitment to education, award-winning member artists will give free painting demonstrations and gallery talks on weekends. “Flowers and Garden,” a watercolor by Watertown artist Dawn Scaltreto. The Society, whichtraces its history to 1885 and numbers such figures as John Singer Sargent, Childe Hassam, Andrew Wyeth, and Ruth Wynn among its past luminaries,todayclaims nearly 200 signature members and an overall membership of more than 400. New England Watercolor Society Signature Members Show, Guild of Boston Artists, 162 Newbury Street, Boston,Feb. 6toMarch 3, 2019,Tuesday through Saturday, 10:30 a.m. to 5:30 p.m., Sundays 12-4 p.m. Reception and awards Saturday,Feb. 9, 2-4 p.m. Painting demonstrations Sundays 1-3 p.m.Feb. 10 (Bill Lane), 17 (Robert Mesrop), and 24 (Ann Trainor Domingue). Gallery talks everySaturdayat 1 p.m.Feb. 16(Gary Tucker) and 23 (Ann Hart) andMarch 2 (Kristin Stashenko). The juror, Cindy Baron, AWS, will also give a painting demonstration onSaturday,Feb. 2, 5-7 p.m.